In 2013, the Beaver Meadow Schoolhouse was named to the National Register of Historic Places, a program of the National Park Service, signifying its importance as an important architectural and historic resource. The Schoolhouse is one of several historic buildings in the community of Beaver Meadow, once one of Norwich’s small thriving neighborhood hamlets. 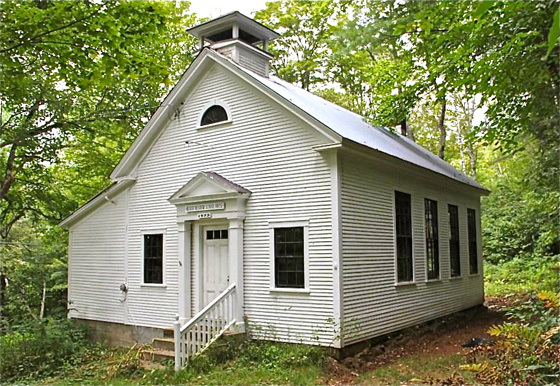 This one-room schoolhouse with its gable roof, large windows, modest bell tower, and simple Classical entry exemplifies what a rural schoolhouse should look like. It is one of two remaining one-room schoolhouses in Norwich. The original school house opened in March, 1791, and operated until 1946 with a brief hiatus in the fall of 1921 when it was being rebuilt after a fire. 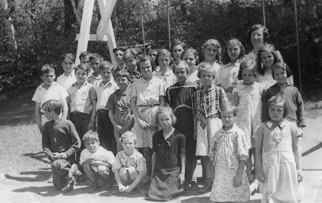 As many as 60 children attended the school when Beaver Meadow was an active farming community with large families. When enrollment dropped to fewer than 11 students in the 1940s, it was closed and consolidated with Norwich’s Elementary School (now Marion Cross School). Now, almost 70 years later, there are still a few residents who remember the days when the school was in operation. 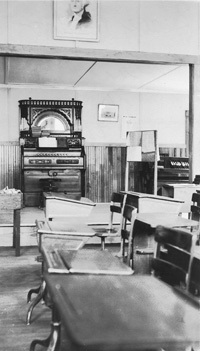 In 1952, the Norwich School Board sold the school house to the Chapel Association for $5 for use as a community center. In the early 1970s, neighbors began their successful effort to repair and make the school house a gathering place for the community. Today the Beaver Meadow School House Association, an incorporated nonprofit organization, cares for and coordinates community use of the school house. See link here to the Schoolhouse’s nomination to the Register of Historic Places program. The school house continues to be a gathering place for many annual neighborhood events, bringing together people of all ages. These include the annual holiday party and Halloween haunted house, as well as pot luck suppers, birthday parties, and educational presentations. Thanks to ongoing community use and much work done over the years in maintaining the building, the School House is in very good condition. In 2012, The Norwich Historic Preservation Commission applied for and received a grant from the Division of Historic Preservation/National Park Service to hire a consultant to prepare the lengthy application for the Schoolhouse to be considered for the National Register. This designation was bestowed on the building in 2013. The Schoolhouse Association was also awarded a Cultural Facilities matching grant from the State of Vermont for $22,500 in September 2012. They also received a $10,000 grant in 2014 from the Jack and Dorothy Byrne Foundation, with an additional $4,000 pledge to be matched. That amount was achieved in donations from the community, and upgrades to on-site sewer and water were completed in 2015.